Welcome to my beach. Well technically it’s not mine, but if I could choose a beach, this would be it. I have travelled to a few places in my time and have seen many beaches, but this is by far one of my favourites. 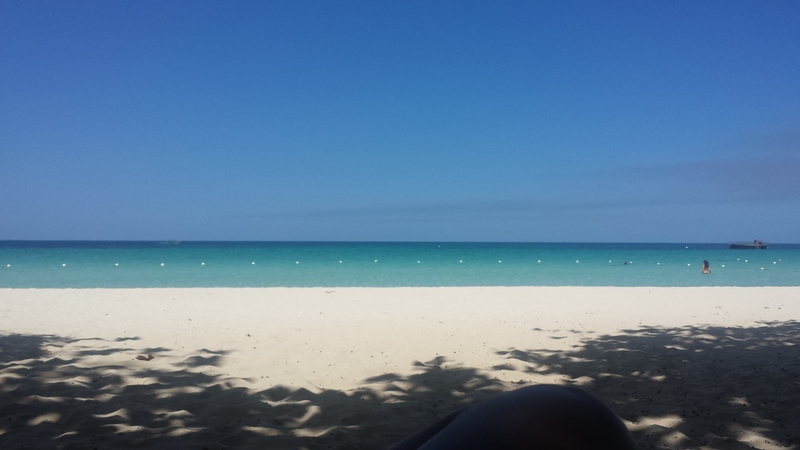 Negril beach in Jamaica. A 7 mile beach with clear blue beautiful sea. The sea is so clear and the sand is so clean that you can see the sea life clearly in its glory. I spent a lot of time here on my recent holiday. It was great for just clearing my head and relaxing. The water is warm too. Loved every minute. I hope you enjoy it as much me.